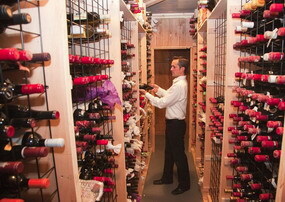 Our private wine cellar is an exciting new option in wine storage. 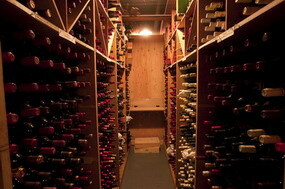 A self-storage plan, you get your very own private wine cellar at our facility. 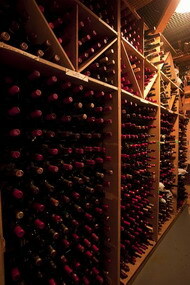 Our wine cellars are walk-in units and they range in size from 2,400 to 7,200 bottles. 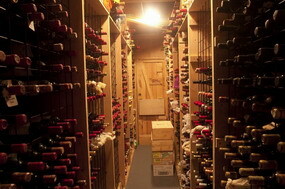 Prices start at $735 per cellar per month. Deposit, withdraw or visit your collection as often as you wish at no extra charge. Appointments are never required and access is 24/7/365. 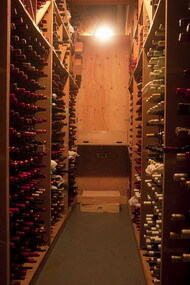 Former home owners with decades of home cellar experience appreciate the opportunity to continue storing their wines in a private wine cellar after moving into a condo or a rental home. When you only have a small selection of wine at home, this style of storage is far more convenient and functional than conventional case storage services. 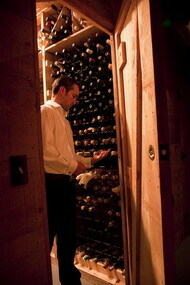 Many clients with large collections select one of our smaller wine lockers, and store the remainder in case storage. 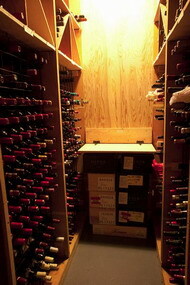 The walk in wine cellar is for those who want to display all their wines, and have immediate access to any bottle in their entire collection. 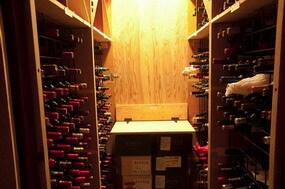 Our wine cellars are high security units. 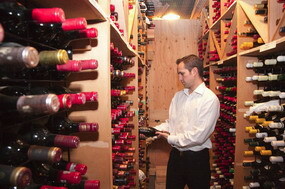 Every cellar is individually alarmed and monitored 24/7 by a central monitoring station.